Whether you plan to frolic or not on Halloween, it’s still fun to enjoy a few sweets. As for us, we’ll be having a Halloween film-fest party. The holiday wouldn’t be complete without an evening of horror films, food and drink. That’s just what I’m in the mood for after the strenuous event earlier in the week. This year I made my own Halloween treats – Raw Vegan Chocolates. The secret to good candy at home is to start with a spread of high quality, delicious ingredients and use your creativity to dream up some creative confections. 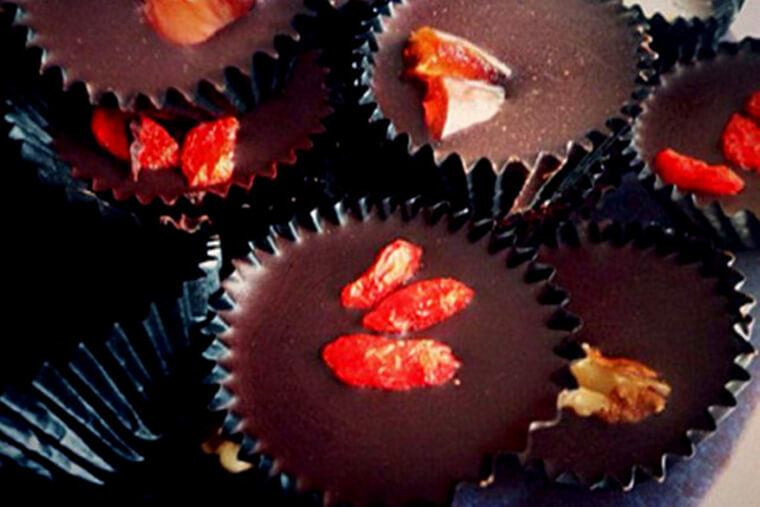 You’ll feel like the vegan version of Willy Wonka. This chocolate is the real deal. It melts in the mouth, it’s rich and satisfying, and has a deep, dark aroma that can only be described as divine. 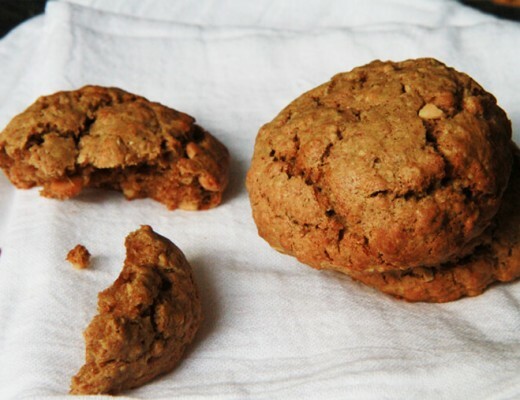 Surprisingly, it only contains three basic ingredients, and is gluten-free, sugar-free, vegan and raw. Enjoy them with your friends and loved ones. 4 Tbsp. sweetener of choice – agave nectar, palm sugar, xylitol, stevia, etc. In a double boiler (or a glass bowl over water) over low-medium heat, melt the cacao butter slowly until completely smooth. Add the cacao powder, sweetener, vanilla and stir to thoroughly combine. Remove from heat. Pour into molds or paper casings. Place in the fridge or freezer to firm up. Store chocolate in a cool, dry place away from direct light. 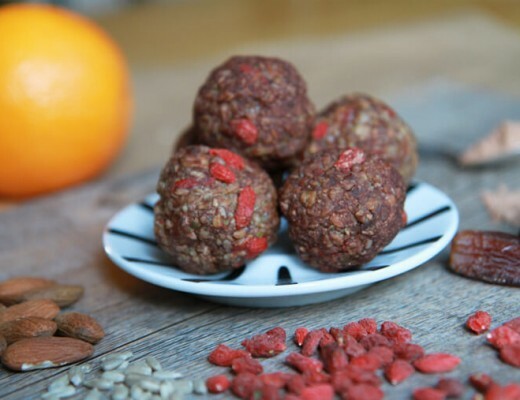 You can also add cacao nibs, goji berries, coconut, almonds, hazelnuts, orange zest or whatever your imagination desires! YUM! I am going totally DIY this Christmas, and I think I am going to add this recipe to my ever-growing list of goodies to make for presents. If you have any more “gift giving” kind of recipes, please do share this month! Hi Rachael! That is such a great idea and these chocolates would make the perfect gift as they save for quite some time. I actually have a post in the works on this very topic. I’m a huge fan of homemade gifts, especially when they involve food :) Look for the post in the upcoming weeks!